Visit http://www.nabcap.org/media-pub-louisville.cfm to see Louisville's Top Financial Advisors that have been objectively identified and published by NABCAP. Louisville's Top Financial Advisors have been identified and published by NABCAP and can be seen here http://www.nabcap.org/media-pub-louisville.cfm . The entire local market's industry professionals were invited to participate in the non-profit's fair and balanced process to be objectively evaluated and compared against their peers. The result of NABCAP's quantitative process is the list of top practitioners for Louisville that can be seen on their website under Publications. The process is unbiased in that it does not favor advisors who merely have the most Assets Under Management nor is it favorable to any particular channel (wirehouse, independent, etc) where advisors happen to practice. NABCAP's process and results have been labeled the most objective and comprehensive by many of the country's top practitioners. 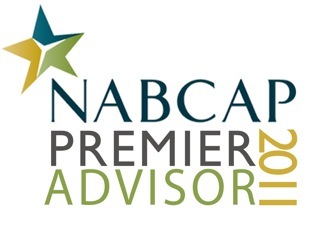 NABCAP will publish their Premier Advisor list in 35+ markets this year. The non-profit organization is inviting Financial Advisors to participate in the objective review process to be evaluated and considered for their list of top practitioners in their local market. There is NO cost for advisors to participate and be evaluated. Houston, TX (Mar. 23rd), Phoenix, AZ (Mar. 30th), Jacksonville, FL (Mar. 30th), Raleigh, NC (Apr. 6th), Orlando, FL (Apr. 6th), Georgia (Apr. 6th), Sacramento,CA (Apr. 13th), Seattle, WA (Apr. 13th), Hawaii (Apr. 27th) & Kansas City, MO (Apr. 27th). *It is critical for advisory practices to participate if they wish to be considered. There will be more markets opening up in the months to come but in the mean time, look for the NABCAP Premier Advisor list that publishes in your local area. Minneapolis/St. Paul Business Journal published NABCAP's list on Feb. 24th & San Francisco Business Times published NABCAP's list on Mar. 16th.